Once the Enlightenment metanarrative was established—“encysted”—in the Western mind, the great secular ideologies progressively appeared: liberalism, with its idolatry of the “invisible hand,” and Marxism, with its strong determinism and metaphysics of history, contested at the dawn of the 20th century by Georges Sorel, the most sublime figure of European militant socialism. Following Giorgio Locchi—who occasionally calls the metanarrative “ideology” or “science”—we think that this complex “metanarrative/ideology/science” no longer rules by consensus but by constraint, inasmuch as there is muted resistance (especially in art and music) or a general disuse of the metanarrative as one of the tools of legitimation. The liberal-Enlightenment metanarrative persists by dint of force and propaganda. But in the sphere of thought, poetry, music, art, or letters, this metanarrative says and inspires nothing. It has not moved a great mind for 100 or 150 years. Already at the end of the 19th century, literary modernism expressed a diversity of languages, a heterogeneity of elements, a kind of disordered chaos that the “physiologist” Nietzsche analyzed and that Hugo von Hoffmannstahl called die Welt der Bezuge (the world of relations). These omnipresent interrelations and overdeterminations show us that the world is not explained by a simple, neat and tidy story, nor does it submit itself to the rule of a disincarnated moral authority. Better: they show us that our cities, our people, cannot express all their vital potentialities within the framework of an ideology given and instituted once and for all for everyone, nor can we indefinitely preserve the resulting institutions (the doctrinal body derived from the “metanarrative of the Enlightenment”). The anachronistic presence of the metanarrative constitutes a brake on the development of our continent in all fields: science (data-processing and biotechnology), economics (the support of liberal dogmas within the EEC), military (the fetishism of a bipolar world and servility toward the United States, paradoxically an economic enemy), cultural (media bludgeoning in favor of a cosmopolitanism that eliminates Faustian specificity and aims at the advent of a large convivial global village, run on the principles of the “cold society” in the manner of the Bororos dear to Lévi-Strauss). The Rejection of Neo-Ruralism, Neo-Pastoralism . . . The confused disorder of literary modernism at the end of the 19th century had a positive aspect: its role was to be the magma that, gradually, becomes the creator of a new Faustian assault. It is Weimar—specifically, the Weimar-arena of the creative and fertile confrontation of expressionism, neo-Marxism, and the “conservative revolution”—that bequeathed us, with Ernst Jünger, an idea of “post-metanarrative” modernity (or post-modernity, if one calls “modernity” the Dialectic of the Enlightenment, subsequently theorized by the Frankfurt School). Modernism, with the confusion it inaugurates, due to the progressive abandonment the pseudo-science of the Enlightenment, corresponds somewhat to the nihilism observed by Nietzsche. Nihilism must be surmounted, exceeded, but not by a sentimental return, however denied, to a completed past. Nihilism is not surpassed by theatrical Wagnerism, Nietzsche fulminated, just as today the foundering of the Marxist “Grand Narrative” is not surpassed by a pseudo-rustic neoprimitivism. In Jünger—the Jünger of In Storms of Steel, The Worker, and Eumeswil—one finds no reference to the mysticism of the soil: only a sober admiration for the perennialness of the peasant, indifferent to historical upheavals. Jünger tells us of the need for balance: if there is a total refusal of the rural, of the soil, of the stabilizing dimension of Heimat, constructivist Faustian futurism will no longer have a base, a point of departure, a fallback option. On the other hand, if the accent is placed too much on the initial base, the launching point, on the ecological niche that gives rise to the Faustian people, then they are wrapped in a cocoon and deprived of universal influence, rendered blind to the call of the world, prevented from springing towards reality in all its plenitude, the “exotic” included. The timid return to the homeland robs Faustianism of its force of diffusion and relegates its “human vessels” to the level of the “eternal ahistoric peasants” described by Spengler and Eliade. Balance consists in drawing in (from the depths of the original soil) and diffusing out (towards the outside world). In spite of all nostalgia for the “organic,” rural, or pastoral—in spite of the serene, idyllic, aesthetic beauty that recommend Horace or Virgil—Technology and Work are from now on the essences of our post-nihilist world. Nothing escapes any longer from technology, technicality, mechanics, or the machine: neither the peasant who plows with his tractor nor the priest who plugs in a microphone to give more impact to his homily. Technology mobilizes totally (Total Mobilmachung) and thrusts the individual into an unsettling infinitude where we are nothing more than interchangeable cogs. The machine gun, notes the warrior Jünger, mows down the brave and the cowardly with perfect equality, as in the total material war inaugurated in 1917 in the tank battles of the French front. The Faustian “Ego” loses its intraversion and drowns in a ceaseless vortex of activity. This Ego, having fashioned the stone lacework and spires of the flamboyant Gothic, has fallen into American quantitativism or, confused and hesitant, has embraced the 20th century’s flood of information, its avalanche of concrete facts. It was our nihilism, our frozen indecision due to an exacerbated subjectivism, that mired us in the messy mud of facts. By crossing the “line,” as Heidegger and Jünger say, the Faustian monad (about which Leibniz spoke) cancels its subjectivism and finds pure power, pure dynamism, in the universe of Technology. With the Jüngerian approach, the circle is closed again: as the closed universe of “magism” was replaced by the inauthentic little world of the bourgeois—sedentary, timid, embalmed in his utilitarian sphere—so the dynamic “Faustian” universe is replaced with a Technological arena, stripped this time of all subjectivism. Jüngerian Technology sweeps away the false modernity of the Enlightenment metanarrative, the hesitation of late 19th century literary modernism, and the trompe-l’oeil of Wagnerism and neo-pastoralism. 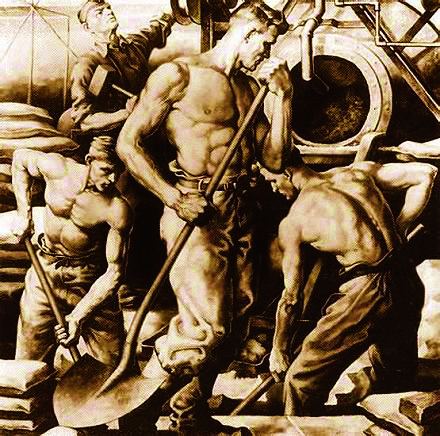 But this Jüngerian modernity, perpetually misunderstood since the publication of Der Arbeiter [The Worker] in 1932, remains a dead letter. 1. On the theological foundation of the doctrine of the “invisible hand” see Hans Albert, “Modell-Platonismus. Der neoklassische Stil des ökonomischen Denkens in kritischer Beleuchtung” [“Model Platonism: The Neoclassical Style of Economic Thought in Critical Elucidation”], in Ernst Topitsch, ed., Logik der Sozialwissenschaften [Logic of Social Science] (Köln/Berlin: Kiepenheuer & Witsch, 1971). 2. There is abundant French literature on Georges Sorel. Nevertheless, it is deplorable that a biography and analysis as valuable as Michael Freund’s has not been translated: Michael Freund, Georges Sorel, Der revolutionäre Konservatismus [Georges Sorel: Revolutionary Conservatism] (Frankfurt a.M.: Vittorio Klostermann, 1972). 3. Cf. G. Locchi, “Histoire et société: critique de Lévi-Strauss” [“History and Society: Critique of Lévi-Strauss”], Nouvelle Ecole, no. 17 (March 1972) and “L’histoire” [“History”], Nouvelle Ecole, nos. 27–28 (January 1976). 4. Cf. G. Locchi, “L’idée de la musique’ et le temps de l’histoire” [“The ‘Idea of Music’ and the Times of History”], Nouvelle Ecole, no. 30 (November 1978) and Vincent Samson, “Musique, métaphysique et destin” [“Music, Metaphysics, and Destiny”], Orientations, no. 9 (September 1987). 5. Cf. Helmut Pfotenhauer, Die Kunst als Physiologie: Nietzsches äesthetische Theorie und literarische Produktion [Art as Physiology: Nietzsche’s Aesthetic Theory and Literary Production] (Stuttgart: J. B. Metzler, 1985). Cf. on Pfotenhauer’s book: Robert Steuckers, “Regards nouveaux sur Nietzsche” [“New Views of Nietzsche”], Orientations, no. 9. 6. Biotechnology and the most recent biocybernetic innovations, when applied to the operation of human society, fundamentally call into question the mechanistic theoretical foundations of the “Grand Narrative” of the Enlightenment. Less rigid, more flexible laws, because adapted to the deep drives of human psychology and physiology, would restore a dynamism to our societies and put them in tune with technological innovations. The Grand Narrative—which is always around, in spite of its anachronism—blocks the evolution of our societies; Habermas’ thought, which categorically refuses to fall in step with the epistemological discoveries of Konrad Lorenz, for example, illustrates perfectly the genuinely reactionary rigidity of the neo-Enlightenment in its Frankfurtist and current neo-liberal derivations. To understand the shift that is taking place regardless of the liberal-Frankfurtist reaction, see the work of the German bio-cybernetician Frederic Vester: (1) Unsere Welt—ein vernetztes System, dtv, no. l0,118, 2nd ed. (München, 1983) and (2) Neuland des Denkens. Vom technokratischen zum kybernetischen Zeitalter (Stuttgart: DVA, 1980). The restoration of holist (ganzheitlich) social thought by modern biology is discussed, most notably, in Gilbert Probst, Selbst-Organisation, Ordnungsprozesse in sozialen Systemen aus ganzheitlicher Sicht (Berlin: Paul Parey, 1987). 8. To tackle the question of the literary modernism in the 19th century, see: M. Bradbury, J. McFarlane, eds., Modernism 1890–1930 (Harmondsworth: Penguin, 1976). 9. Cf. Paul Raabe, ed., Expressionismus. Der Kampf um eine literarische Bewegung (Zürich: Arche, 1987)—A useful anthology of the principal expressionist manifestos. 10. Armin Mohler, La Révolution Conservatrice en Allemagne, 1918–1932 (Puiseaux: Pardès, 1993). See mainly text A3 entitled “Leitbilder” (“Guiding Ideas”). 11. Cf. Gérard Raulet, “Mantism and the Post-Modern Conditions” and Claude Karnoouh, “The Lost Paradise of Regionalism: The Crisis of Post-Modernity in France,” Telos, no. 67 (March 1986). 12. Cf. Oswald Spengler, The Decline of the West, 2 vols., trans. Charles Francis Atkinson (New York: Knopf, 1926) for the definition of the “ahistorical peasant” see vol. 2. Cf. Mircea Eliade, The Sacred and the Profane: The Nature of Religion, trans. Willard R. Trask (San Diego: Harcourt, 1959). 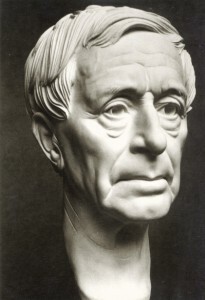 For the place of this vision of the “peasant” in the contemporary controversy regarding neo-paganism, see: Richard Faber, “Einleitung: ‘Pagan’ und Neo-Paganismus. Versuch einer Begriffsklärung,” in Richard Faber and Renate Schlesier, Die Restauration der Götter: Antike Religion und Neo-Paganismus [The Restoration of the Gods: Ancient Religion and Neo-Paganism] (Würzburg: Königshausen & Neumann, 1986), 10–25. This text was reviewed in French by Robert Steuckers, “Le paganisme vu de Berlin” [“Paganism as Seen in Berlin”], Vouloir no. 28–29, April 1986, pp. 5–7. 13. On the question of the “line” in Jünger and Heidegger, cf. W. Kaempfer, Ernst Jünger, Sammlung Metzler, Band 20l (Stuttgart, Metzler, 1981), pp. 119–29. Cf also J. Evola, “Devant le ‘mur du temps’” [“Before the ‘Wall of Time’”] in Explorations: Hommes et problems [Explorations: Men and Problems], trans. Philippe Baillet (Puiseaux: Pardès, 1989), pp. 183–94. 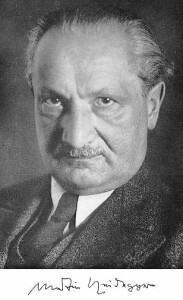 Let us take this opportunity to recall that, contrary to the generally accepted idea, Heidegger does not reject technology in a reactionary manner, nor does he regard it as dangerous in itself. The danger is due to the failure to think of the mystery of its essence, preventing man from returning to a more originary unconcealment and from hearing the call of a more primordial truth. If the age of technology seems to be the final form of the Oblivion of Being, where the anxiety suitable to thought appears as an absence of anxiety in the securing and the objectification of being, it is also from this extreme danger that the possibility of another beginning is thinkable once the metaphysics of subjectivity is completed. 14. To assess the importance of Leibniz in the development of German organic thought, cf. F. M. Barnard, Herder’s Social and Political Thought: From Enlightenment to Nationalism (Oxford: Clarendon Press, 1965), 10–12.